Creative home decorating ideas with Christmas lights add great lighting designs to your outdoor rooms and interiors, creating festive and beautiful look all year around. You can use Christmas lights for home decorating in winter and summer, bringing glowing holiday lights into your interior decorating. Gorgeous lanterns can be designed with Christmas lights. Birdhouses and glass bottles, vases and wooden boxes, combined with Christmas lights, create fabulous lighting fixtures for your floor decor. 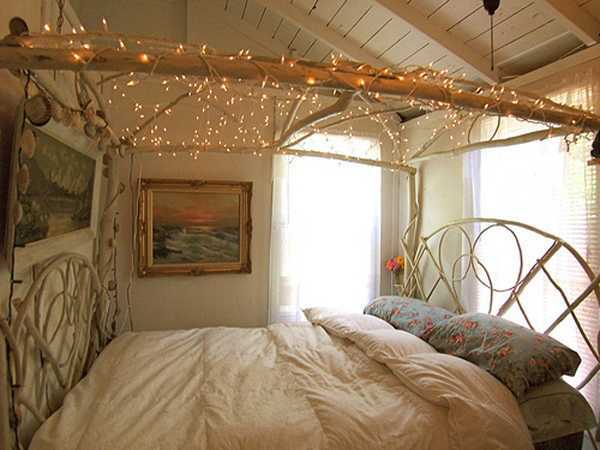 Great nightstand lighting fixtures with holiday lights are excellent for shabby-chic bedroom decorating. Handmade lighting ideas are perfect for cottage country home decorating and outdoor lights. 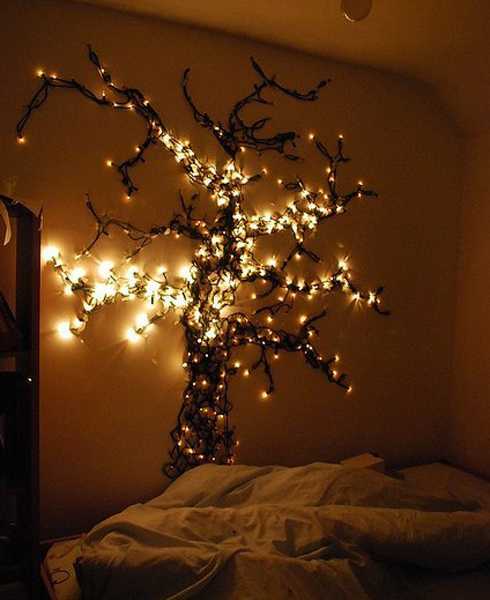 Creative home decorating ideas with Christmas lights feel unusual and romantic. 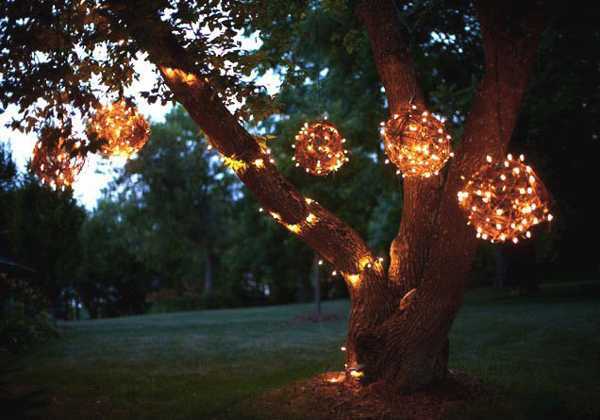 Holiday lights create a mysterious displays on tree branches decorating your outdoor rooms in unique and elegant style. Mirrors, frames, artworks and tree branches can be adorned with holidays lights, adding fantastic wall decorations to your home interiors. 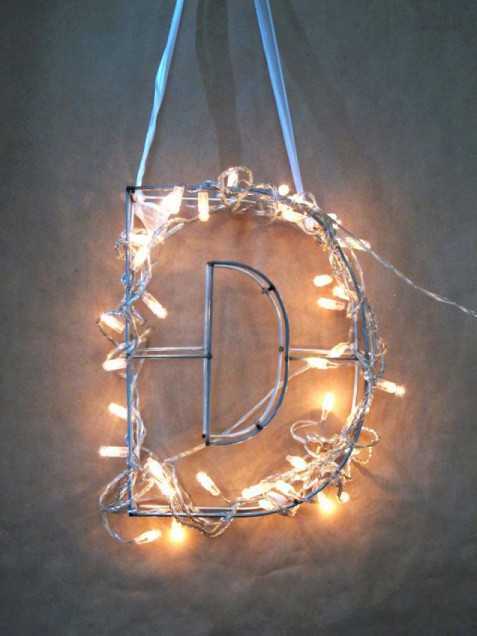 Romantic style of home decorating with Christmas lights can meet functionality. Combined with a mirror or a curtain on a bedroom wall, holiday lights blend attractive look with soft night lights. A chalkboard in the kitchen with a string of holiday lights add more charm to interior decorating while providing softly glowing light, perfect for writing notes with chalk. Clever lighting ideas help style empty walls and room corners. Glass jars and bottles with holiday lights look stunning, turning awkward areas, hallways, empty walls and room corners into beautiful places with accent lights, and creating pleasant, safe and modern interior decorating.